Even in its early days, the University of Wyoming offered a practical education. Here, Professor Gilkenson oversees students in the University’s iron foundry. Ironworkers were highly valued in a railroad town like Laramie. 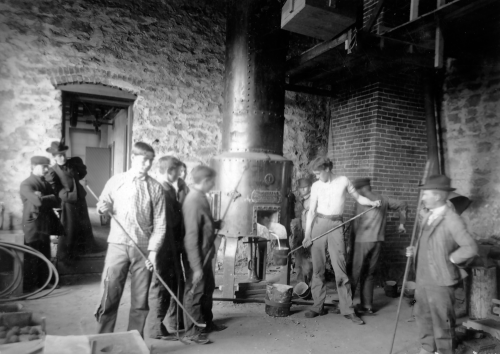 Learn more about the history of the University of Wyoming’s metallurgy programs.